DALLAS, March 13, 2019 /PRNewswire/ -- We invite you on a flavorful adventure with Mimi's. Today, the bistro introduces delicious new menu items inspired by the essence of France. Mimi's will offer a new $10.99 lunch menu, available Monday through Friday, from 11 a.m. to 4 p.m. 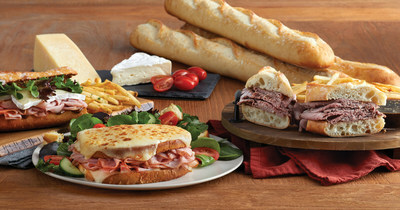 The new menu allows guests to choose a salad or soup, including the classic French Onion and an entrée from a selection of new French-inspired sandwiches, including a returning favorite, the Turkey Royale Baguette, all served with fries. Mimi's has also expanded its must-order shareables for those who prefer to travel with their taste buds. To name one, Mimi's has added Hummus and Crudités, fresh seasonal veggies served with garlic roasted hummus, ranch and crostinis. 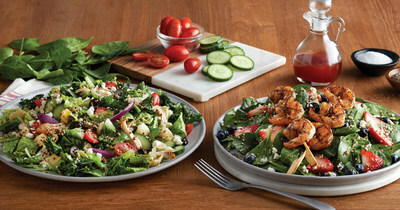 "At Mimi's we honor our heritage by continually introducing fresh and delicious French flavors," said Tiffany McClain, Senior Director of Marketing for Mimi's. "Our Spring Menu is inspired by the essence of France, which means we must have a strong focus on quality. At Mimi's we source only the best ingredients for each dish. From our new baguette sandwich menu, to our fresh quinoa and chicken or shrimp salads to creamy pastas and indulgent desserts, we've created a piece of France that anyone can enjoy." Mimi's new menu will be available at all locations. Mimi's also showcases every meal with its house wines from Bordeaux, France available for $6 a glass and $22 a bottle every day. For locations, complete menu, including breakfast all day and hours of operation, visit www.mimiscafe.com.